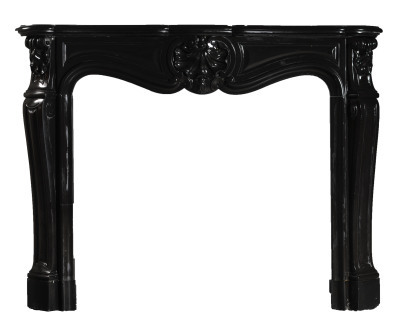 An elegantly carved Louis XV fireplace in black Belgium marble. 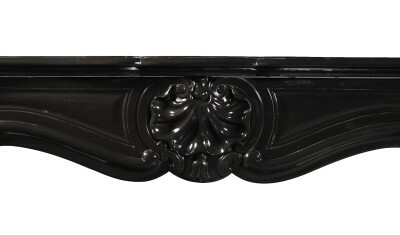 Below the moulded, serpentine-shaped shelf sits a panelled frieze with a deeply carved, reversed shell from which a bell flower drops. 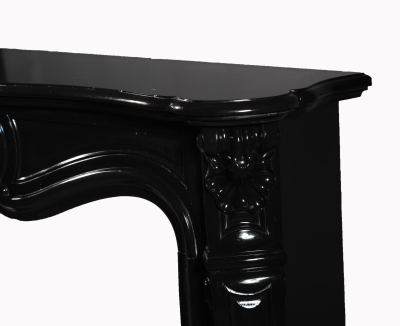 The top of the shaped, panelled jambs are decorated with scrolls and richly carved shells.